Concentrated in its flask you will find the unique aromas of this privileged Mediterranean island. 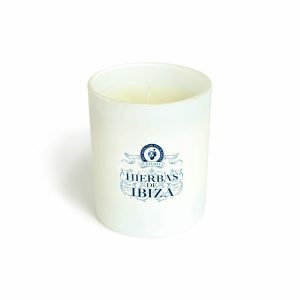 Transparent and luminous its exquisite perfume evokes certain sensations in us, likened to those clean and fresh-air sunrises so typical of Ibiza. 190g The perfect accompaniment to Hierbas De Ibiza's classic and sought after cologne, this scented candle brings the freshness of the island's herbs and flowers into the comfort of your own home. A beautifully fragrant blend of vibrant citrus notes and unique herbal accords that characterise the iconic scents of Hierbas De Ibiza, this scented candle will refresh your senses whatever the season.